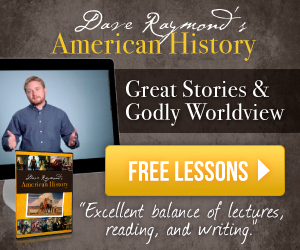 I wrote this post, Making Everyday Homeschool Moments Special, for Sonlight Curriculum. Surprised because I'm intentional about capturing day-to-day life, I looked through a few pages with her pointing out all the everyday things happening such as eating oatmeal at the breakfast table. "OH! You make it all seem so special!" By taking photos, you can make routine moments special. In the same way, you can make ordinary homeschool moments special, too. When you document your story, you naturally tend to focus on what kind of life you want to live, so it becomes about living a more purposeful, intentional life. reading good books to your children ~ I can only remember one book from my childhood, so I want my children to have fond childhood memories of reading lots of books! unplugging to plug into your children ~ I want to give my children my undivided attention. Since putting my phone on do not disturb during the day, I am not easily distracted by it. tuning in to their individual learning styles to encourage positive growth ~ What a blessing to teach our children the best way for them. doing something special in your homeschool to create a memory ~ If you make it special, you will have a fond memory to look back on. These memories instill a deep value in my children. recording those memories to instill a sense of identity and self-worth in your child ~ Taking pictures and recording your child's life tells them they are special and helps create a healthy self-esteem which is vital to our relationship with others and with God. I know that my children feel a stronger sense of who they are and how valued they are as a part of our family with these recorded memories and visual reminders of our life together. What does it look like for your family? I love these photos of Bo working on Developing the Early Learner from Sonlight Pre-K because they capture a variety of facial expressions. ❤️ give them plenty of time in the day to pursue their own interests and capture it on film. ❤️ make encouraging "report cards"
You start each new school year with a fresh, clean, organized house and by the end, you have piles here and there — evidence of a productive school year such as school work, pictures, artwork, journal entries, and memorabilia. You may have field trips, community experiences, extra-curricular activities, volunteer opportunities, and more experiences you want to remember. You also have Sonlight Moments and conversations about books you don't want to forget. 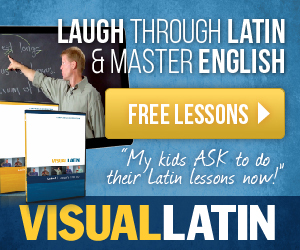 Documenting your homeschool memories can be done ANY way you want. 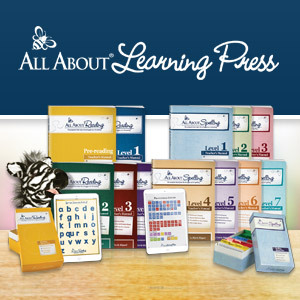 You invest many precious hours and days into homeschooling. Whether you are required to record keep in your state or not, it helps you and your children to see all you have accomplished! When I first started homeschooling, I wrote notes right in my Sonlight IG and dated it. I slipped artwork, samples of their work, photos, and even newspaper clippings right into my IG and it became a scrapbook of our journey. There’s no doubt my Sonlight IG is the easiest way for me to document my children’s learning throughout the year. From the schedule grid and book list to reading logs and the boxes we've checked off and filled in, I have everything I need to track and monitor what my children have learned throughout the school year. Of course, a big bulky binder is a cumbersome scrapbook so much of it will have to go. Keep just a handful of things such as your child's best pieces of art, a few handwriting samples, and of course, the awards, certificates, and any other pieces of “evidence” from their school year that tell their story. Bo when he completed All About Spelling 1. Some of my kids are more sentimental than others, but I may be the most sentimental of all. So I begin with the end in mind and keep the memories I will treasure when my children are grown, and let them keep the memories they will treasure. What do you want to remember the most? If you are feeling especially sentimental and can't part with something, you can scan and shrink flat items you want to keep. This year, I had each child pick a writing assignment to polish up, illustrate, and save. While looking over their papers for the year, we were happy to see how much our writing had improved. 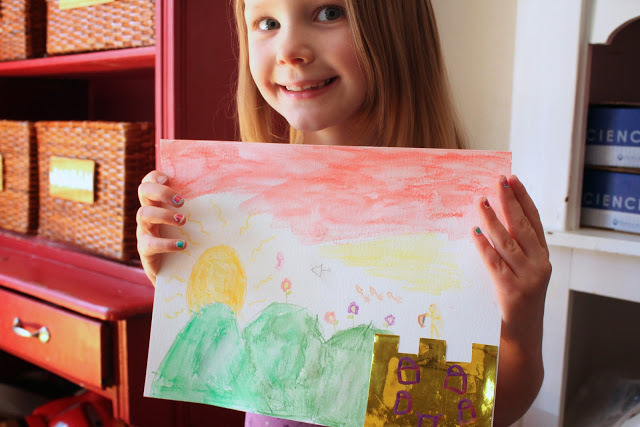 Eliana chose a paper from the beginning of the year, and it was fun to see how much she delighted in her growth. It will be fun to compare their best writing this year to the work they do next year. It also gives them a little nudge to do their best! If you reduce an 8.5x11 to fit in a 4x6 slot, you can place it right in your scrapbook or photo album! Scanning only works for flat items, so photograph the bulky stuff you want to remember and recycle what you can. This year we did History / Bible / Literature B and G ~ Introduction to World History 1 with the little kids and World History 1 with the big kids. Charlotte's Web with History / Bible / Literature B ~ memory making fun. Making Tanghulars for Little Pear in History / Bible / Literature B ~ a memory making treat. More everday life ~ Math, Language Arts 1, and Science A. This is special to me because Eliana loved to make pancakes starting at the age of 6. I love looking back on their Sonlight Creative Expressions! Our biggest Box Day ever ~ as tall as Dylan at age 13! Obviously, pictures are one of my favorite ways to document our homeschool memories! See more here! To get good photos, use natural, indirect light from a window or open door. No flash. Place artwork or other items piece on a neutral floor or simple background. I like to use my wood coffee table, the kitchen table, a white foam board, or even a pine board. Stand directly above the item for a nice straight-on shot. Focus and hold the camera steady for a clear, crisp picture, then shoot. One of my favorite ways to document a project is to take a photo of my child holding his/her artwork. It’s fun to see them at the age/time they did the work, so I like to immediately take a photo when a project is completed for a more personalized photo. If you scan or photograph things, you don't have to feel bad about throwing stuff away, especially if you’re facing huge piles of stuff. So if you can't reuse or recycle it, throw it away. This is the hardest part for me because I'm sentimental, but it's worth it because it is freeing. I can focus less on stuff and focus more on making new memories. If you need an easy way to document your school year, grab the End of Year Memory Book and have your kids fill it out. Be sure to include a few photos! Keep it simple, stress-free, enjoyable, and fun! I wish you all the best as you make everyday homeschool moments special. Thank you for sharing this journey with me! Homeschool memories are happy memories to make, keep, and share! Share yours on Instagram using the hashtag #sonlightstories! Are you in planning mode for next year? 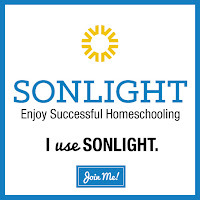 If you need help choosing your curriculum don’t forget the helpful Sonlight users on the Sonlight forums, or feel free to contact a Sonlight Curriculum Advisor via live chat.